Photography is an exciting field of work and a very interesting hobby as well. It is a form of art. it is a field which is gaining more and more attention. You can try photography out to capture your memories, or you can find different mediums where you can do professional photography. However, to be good at photography, you need to have the best photography equipment. Sometimes, you may not have the money to invest in an expensive DSLR. In that case, you can find the best mirrorless camera for yourself. Mirrorless Cameras are not very different from DSLR cameras in terms of functioning. However, they do not have one of the key components of a DSLR, that is a reflex mirror. The reflex mirror in the DSLR illuminated the optical viewfinder. This process enables you to capture images by looking through the viewfinder. In mirrorless cameras, instead of the optical viewfinder, the image sensor is exposed to the light all the time. You can preview your image and frame your image by looking through the LCD screen at the rear end of the camera or look through an electronic viewfinder. 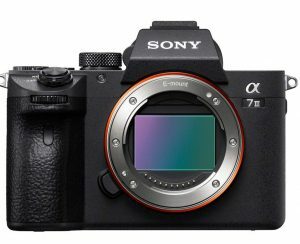 SHOW ME THE TOP 10 MIRRORLESS CAMERAS NOW! 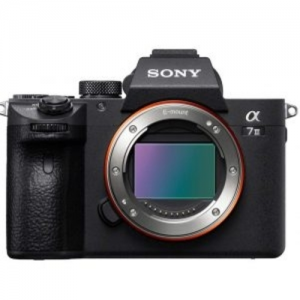 Mirrorless cameras are just cameras producing similar outputs as compared to other cameras. However, as the name suggests, there is some difference in the mirrorless cameras. This difference is in functioning. The functioning of mirrorless cameras is slightly different as compared to other cameras and DSLRs. In a mirrorless camera, the light enters the lens. After that, the aperture controls the amount of light that enters the camera. Then the light reaches the sensor. Then the light passes through the sensor while the photographer composes his shot and decides his frame. The LCD screen displays the image, or the image can be seen through an electronic viewfinder. After that when the shutter button is pressed, the shutter formulates the image and captures it. This camera skips a few steps. It has no involvement of a mirror in any of its steps — the only movement within this whole process if of the shutter button and the shutter of the camera. How Is A Mirrorless Camera Different Than A Regular DSLR? A mirrorless camera is much lighter as compared to a DSLR. DSLRs are bulky and heavy. With the camera body and lens combines, they can weigh up to 5kgs. Mirrorless cameras are compact as well. Some mirrorless cameras can fit into your pocket too. Compact proportions are one of the most important and central user selling points of mirrorless cameras. A unique feature called the four-thirds sensor format reduces the whole size of the camera. Because of this feature, DSLRs are now facing a huge competition from the mirrorless cameras. DSLRs manufacturers are now attempting to reduce the size of their cameras. When you are traveling to different places, mirrorless cameras will be easy-to-carry and hassle-free. DSLRs have a wider range of lenses. They have many more options which suit a wide range of price points as well. On the downside, these lenses can be just as heavy as the camera. This can make the whole camera body and lens set very heavy and extremely difficult to maneuver. The mirrorless cameras do not have a wide variety of lenses. They use a different kind of lens called the micro four-thirds lens. These lenses offer a broad range of optics which range from ultra-wide angle zooms too fast prime telephoto lenses. These lenses are neither bulky nor very heavy. Hence they can make your whole camera weigh much lesser. DSLRs have a viewfinder which is one of the most important parts of the camera. Most photographers tend to use the viewfinder to frame an image. However, new photographers prefer a digital rendition of the scene. LCD screens make it possible to view an estimate of how your image will look. The mirrorless cameras do not have a viewfinder. They have excellent quality LCD screens which can help you to compose your images. DLSRs have fast and efficient autofocus which can detect phase. This can continue focusing even during very quick motions. However, the system will only work efficiently when the mirror of the camera is faced down. The process becomes a lot more complex if you are using the live view mode. In live view mode, the mirror has to be flipped up to compose a picture or a video. The regular autofocus mode no longer remains in the light path. As opposed to this problem, mirrorless cameras have sensor-based autofocus. The mirrorless cameras have an advanced autofocus system. This autofocus combines contrast autofocus with phase detection. The autofocus of these cameras are excellent because they are fast and accurate, they can lock on a moving object and continue to focus on it even when it is in motion. DSLRs can record full HD videos and HD quality pictures. The quality of these pictures can be enhanced further using a wide range of different accessories and different lenses. However, the mirrorless cameras have come up with a new video quality which remains untouched by DSLRs. 4K capture is a common feature in mirrorless cameras, and it is only present in a very few DSLR cameras. Most brands of mirrorless cameras offer this feature. The quality in such videos is unprecedented. DSLRs can shoot up to 14 frames per second. They can record very fast action and reduce motion blur. However, the continuous shooting feature in mirrorless cameras is mind-blowing. It can shoot from 20 frames per second to even 60 frames per second in some cameras. To achieve such high rates, you need an electronic shutter. The focus in such shots is also very good and accurate. These models have 4K video. 4K video required high processing power and the mirrorless cameras has that too. If you are shooting videos at such high-speed rates, you will also have to have a significantly good memory in your camera. The picture quality will be much better in the mirrorless cameras as compared to DSLRs. DSLRs offer excellent image quality. They have high image resolution and can capture very realistic images. These cameras have full-frame sensors which ensure that they have the best quality. However, the mirrorless cameras with APS-C sensors which can give a very similar picture quality but at a much lower price. However, many new mirrorless cameras have extremely good picture quality which may even surpass the quality achieved by DSLR. DSLRs are more widely used and have a variety of features and modes to choose from. One of the major problems with those cameras is that they can be very expensive. The camera body and the different lenses can together cost a lot. Plus, if you are into professional photography, you have to buy a whole range of lenses. The lenses individually will cost a lot, so together the whole set will be quite heavy on your pocket. Mirrorless Cameras give you all the same features and qualities as a DSLR. But the best part about these cameras is that they can be very affordable. The lenses of these cameras are also quite pocket-friendly. The whole set of the camera and the lenses combined will be much lesser than a DSLR. This is one of the most significant advantages that mirrorless cameras have over DSLRs. It can offer the same performance and power at a much lower price rate. Battery life may not seem like one of the most important points to focus on, but it certainly makes a difference when you are shooting outdoors for long hours. DSLR cameras have varying battery lives. Some can last longer, and some are poor. The battery life will also depend on your usage. If you are shooting continuous videos, your battery is more likely to get exhausted quickly. Mirrorless cameras also have similar battery life. However, some mirrorless cameras are known to surpass the battery life of any DSLR ever made. While shooting outdoors for a long time, you may experience a strain n your neck or back because of the heavy-weighted DSLRs. As discussed above, the mirrorless cameras are extremely compact and smaller as compared to DSLRs. They are also much more lightweight. This makes it much easier to move around with these cameras. They are easy to maneuver and move around with. This is a great advantage for travel enthusiasts and travel photographer and bloggers who wish to travel light. Even the lenses of these cameras are much lighter. This makes the whole camera system much lighter. Because of the increasing demand and popularity of mirrorless cameras in the market and amongst the photographers’ community, there are several companies which are coming up with their range of mirrorless cameras. However, there are only a few who can manufacture the cameras which give you the best quality. Whether you are a beginner or a professional, here are a few brands that will end your search for the best mirrorless camera. It is one of the best brands available for professional cameras and common digital cameras. They have also launched their mirrorless camera range. The cameras’ most important selling point is that they are very lightweight and have all the important features of DSLRs. They are also very versatile and bring out bright and vivid pictures. Nikon is one of the leading brands for different cameras. The cameras offered by Nikon give high-quality and realistic images. For mirrorless cameras, the brand has a wide range to choose from with all the smart features. Sony has a wide range of cameras which can cater to everyone’s needs. The cameras range from pocket size to professional. It delivers on its promised performance, and it is also endowed with all the best features. Sony also has a range of excellent mirrorless cameras which will give you a stellar experience. It is one of the relatively newer brands. However, it gives an excellent performance! It has made its name amongst the big players in the market. The cameras offered by this brand can capture pictures with the most vivid colors. Additionally, this brand has an excellent collection of lenses specially made for the mirrorless cameras. One of the newer camera brands which have grown exponentially to give strong competition to the existing and more established brands. They give smoothest user experience, high performance, and great picture quality. The cameras of this brand are also intelligent and have some unique features. Panasonic is a very popular brand for electronics. However, it is a relatively lesser known brand when it comes to cameras. What is not widely known is that this brand also has a few great cameras, which would satisfy the users’ needs while looking for the best cameras. It has regular digital cameras and professional DSLRs as well. The brand has also launched its mirrorless camera range which is extremely efficient smart and feature-rich. There are a lot of different cameras available, but the basic features and requirements will remain more or less the same. There are a lot of options available in the markets when it comes to cameras. Additionally, there are a lot of different combinations of features available too. But you may not require all of the features. Hence it is very important for you to understand what your needs are when it comes to selecting your best mirrorless camera. The features of one camera may not suit your needs the best. One camera may lack in certain features, and one camera may have one too many complicated features that are of no use to you. Therefore, you need to understand your requirements and make an informed purchase on that basis. Here is a list of a few features that you should look for in every camera. The sensor of a camera is the part of the camera’s hardware that captures light and translates that light into an image. It is a solid-state device which works similar to a film. The sensor of a camera plays a great role in determining photo quality. The larger the sensor size and capacity, the better will be the quality of your image. Small sensors do not capture enough light, and the picture quality remains poor. In mirrorless cameras, there generally is a sensor termed micro four-thirds sensor which yields great quality pictures. International Standard Organization is also known as ISO. It is one of the most important features of a camera. Each camera has an ISO range which helps the user to play with the amount of brightness or contrast in the picture. With more ISO, the camera is more sensitive to light. You should always look for a camera with a large ISO range. If the ISO is higher, it will be very easy for you to capture images even in very low light conditions. With ISO settings, the shutter speed also increases. Hence, it will reduce the possibility of motion blur as well. Most of the new mirrorless cameras have large ISO range. The differentiating factor of mirrorless cameras from other cameras is that they have interchangeable lenses. There are different kinds of lenses available for mirrorless cameras. The lenses are used differently for different kinds of photography. Since there is no mirror in front of the sensor in a mirrorless camera, the lens can have a large focal length. This ensures better quality images. Because of this, most DSLR lenses can also fit into mirrorless cameras. Mirrorless cameras use a special kind of lens called a micro 4/3. Lenses in mirrorless cameras are often interchangeable. You can switch between brands such as Olympus and Panasonic. However, what you need to ensure is that your lens fits into your camera perfectly if you are buying lenses from a different brand. When you purchase it, you should make sure that you have the best micro four-thirds camera. As mentioned above, the mirrorless cameras cost much lesser as compared to regular DSLRs. But they will have a varying price range. So, if you are someone who wishes to buy a camera for professional purposes, it is okay to invest more and buy a feature-rich camera. On the other hand, if you are looking to take up photography as a hobby or to capture memories, you may not need to invest a huge amount on it. The cameras can range from a minimum of 400 USD up to 3000 USD. You can check out the features of the cameras and find something that suits your budget. Mirrorless cameras have excellent video quality. They have unprecedented 4K video shooting in almost all of the cameras. This feature allows you to capture high definition and realistic videos with ease and stability. The videos produced through this feature are cinema-quality. It can record the most intricate details and capture the true colors. It also reduces motion-blur. Very few DSLRs have this feature. Megapixels are not the most important criterion, but they certainly do matter. If you want to get the best pictures, you need a camera with high megapixels. The higher the picture resolution, the more intricate your picture will be. It also means that your picture will have great quality. The mirrorless cameras generally have a high megapixel range. However, you should always try to find the camera with the best range and rating in your price range. Storage space is perhaps not the most central features. But it is still very important. When you are shooting high-quality images, the files of those pictures will be very heavy. RAW files are especially heavy. The internal memory of your camera should be high. This is because the space on your hard drive will impact the overall performance of your mirrorless camera. If you are purchasing a high-end camera, the picture size of the camera will also be much higher. Hence, it will occupy more space. For professional cameras, you need to ensure that the camera has a large internal space. You can, later on, add external storage (SD cards) for more pictures. In general, you should purchase a camera with more internal storage or expandable internal storage. 4K video shooting is a very important feature in mirrorless cameras. The 4K videos require a lot of storage space. To ensure that you can film all your videos and store them perfectly, you should make sure that your camera has a lot of storage capacity. When you are traveling across different places with your camera, it can sometimes become too much of a burden. Some DSLRs can be very heavy. It can give you a sore neck. What you need is a lightweight camera. Most mirrorless cameras are lightweight and easy to carry around. Most of the cameras have different weights. You should ensure that you do not purchase a bulky or heavyweight camera. Lightweight and compact cameras are the best options. Especially for travel enthusiasts, photojournalists, and nature lovers, lightweight cameras would be the best match. Lighting is one of the keys to great photography. If the light is right, you will be able to capture the greatest picture. Often it becomes the hardest thing to find; good lighting. Especially when you are trying to shoot outdoors at night, you may have an excellent camera with excellent features, but still, it will not be able to capture too much because of the overwhelming darkness. In such scenarios, the flash will rescue you. It is not the most important feature. But it can be very helpful in many situations. However, it is not the most important feature. If you like a camera which does not have an in-built flash, you can buy an external flash and have the same results. DSLRs and traditional cameras may operate considerably better with manual focus. But then, they came up with autofocus which reduced the hassle of adjusting focus every single time. DSLRs use contrast detection for autofocus. The autofocus in mirrorless cameras go down to the basics, and they segregate the subject in focus by detecting contrast at the pixel levels. The autofocus keeps the subject in focus even during motion. The autofocus in mirrorless cameras is very advanced. In such a case, looking through the viewfinder for framing may not be the best alternative. In these cases, your LCD screen will rescue you. An LCD screen is a significant feature in mirrorless cameras. Because of the absence of an optical viewfinder, the LCD screen performs the task of being the guide to understand your shot and frame. The screen tilting highlight would empower you to see the picture from the queerest points but draw out the absolute best shot. Burst speed is also an important feature in all cameras. Burst speed is the number of pictures that you can capture in sequence if the shutter is pressed for long. It is generally recorded in the unit of frames per second or fps. If a camera can capture four images in one second, it has an fps of 4. There is a maximum point of each camera. This maximum number of frames is called the fps. If the camera’s memory is almost full, then the fps might reduce. Image burst speed is also a great indicator of the cameras processing speed and ability. The higher the burst speed, the easier it is to capture objects in motion and reduce the possibility of motion blur. As you might already know, not every one of the cameras is comprised of materials of the same kind. A few materials are more grounded and much more suitable for you when contrasted with other ones. A few materials, for example, magnesium amalgams are vastly better for your camera. The outside of the camera ought to be comprised of solid plastic material to ensure that the inner parts remain secured. On the off chance that you want to shoot landscapes and outdoor sceneries, you should ensure that your camera is water-proof and climate resistant. You may need to invest somewhat more for such a camera so that it lasts longer. Nonetheless, all these features would expand the lifespan of your camera. This is a relatively newer feature in cameras. This feature allows you to capture the same scene multiple times with certain differences in light or exposure. The camera then combines these images into one to give you the most vivid and the most beautiful picture. This is an excellent feature for those who are interested in landscape photography. Some cameras have a very complicated display. To make sure that you adapt easily to your new camera, you should purchase a camera with an easy and straightforward menu. You should be able to explore all the features of your camera easily. You should get familiar with your new camera soon so that you can jump into the technicalities directly and start capturing the best pictures with ease. Image stabilization is a feature that permits you to capture the sharpest and vivid pictures even at very low shutter speeds. High shutter speed can help you to capture objects in motion. However, they may make your pictures underexposed. To solve this problem, image stabilization is a feature that ensures that the shakiness and the vibration while shooting does not appear in the final image. Image stabilization negated the possibility of motion blur. It helps you to shoot high-speed motions and people and objects in action. This feature also makes sure that your pictures are not blurry or shaky. This is one of the most central features in a camera. You should look for mirrorless cameras that have this feature. Most cameras will have this feature. If your camera does not have this feature, you can purchase a compatible lens with image stabilization. Or you can opt for both; a camera with image stabilization and a lens with image stabilization to maximize the stability of your camera. LCD screens or Liquid Crystal Display is the display screen that you can see your images on or use to capture your images. It is present in just about any DSLR or any mirrorless camera. However, photographers can catch even the most common and the most boring sceneries and perspectives in the most innovative, unique and beautiful way. To catch that ideal shot, photographers and enthusiasts will, in general, go around and move in the most awkward places and absurd positions. In such a circumstance, viewfinder may not be the best alternative. You should make use of your LCD screen. LCD screens are very important in mirrorless cameras. Mirrorless cameras do not have an optical viewfinder. The absence of optical viewfinder makes it imperative that mirrorless cameras have a good LCD. Make sure that your LCD screen has great quality, clarity and can display all the colors in the clearest manner. Viewfinders are that part of the camera that you peer through and use to frame an image. The normal optical viewfinders are not present in mirrorless cameras. Many of the mirrorless cameras only have an LCD screen to look through. With regular DSLRs, you can look right through the lens using your viewfinder to get an idea about how your image is going to look. The new mirrorless cameras have electronic viewfinders create an electronic image that would give a rough idea about how your image would look. Electronic viewfinders of EVFs have a feature called focus peaking which makes autofocus extremely efficient. EVFs can also give precise and accurate descriptions of camera settings such as color balance, exposure, ISO, etc. On the off chance that you need to post your photos via social networking media or transfer them on Google Drive, you frequently have to go through a few long and extensive steps. Be that as it may, most of the mirrorless cameras available in the market permit you to skip these unnecessary steps. You can directly connect your camera to the internet or Wi-Fi and transfer your photos online straight from your camera. Additionally, a few mirrorless cameras have downloadable applications for this purpose which makes the process even easier. If you are somebody who wishes to share his/her photos easily, you should search for a camera with this feature. Mirrorless cameras are mostly directed towards travel photographers and travel enthusiasts. These people may travel to different places which have different weather conditions. It can be snowy weather, dusty storm or raging monsoon. In such cases, if your camera is not protected, it might get ruined because of the weather. Hence, you should buy a camera with weather and dust sealing. This feature helps to prevent water from getting inside when you are traveling in a moist environment or an environment with heavy rains. Even when you are in an excessively dusty environment, this feature can protect the internal structures of your camera. Weather sealing is done with the help of rubber or plastic seals which make the body watertight and prevents dust particle from entering inside. Weather sealing is a feature that is mostly found in high-end models. These models can be slightly more expensive. The weather sealed cameras will be worthless if you do not purchase a weatherproof lens with it. The whole set together will make sure that your best micro four third camera lasts very long. Panorama is a feature that captures more than 200 degrees of a landscape. This combines multiple pictures into one single horizontally long frame. The panoramic image is made after stitching several pictures of the same landscape. This feature is characteristic of most cameras. It is also available in most mirrorless cameras. This feature is for all those who are slightly more artistic and want to try our abstract images. However, it is not the most important or central feature. Almost every camera comes with a warranty. But many people often forget about this while making the final purchase. It is important to negotiate a good warranty offer while purchasing any camera. A warranty that lasts lesser than one year is not worth it. You should buy a camera which has a warranty of more than a year. You can also buy an extendable warranty for some cameras. This will make sure that you can get a replacement or a repair (free of cost) if by any chance your camera gets damaged. 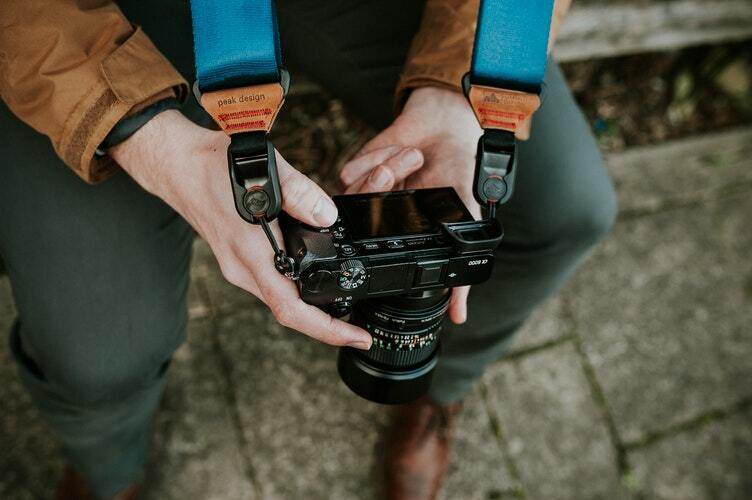 After knowing about the advantages of mirrorless cameras and learning about what features to look for while purchasing one, you may get a little confused an overwhelmed. There are many cameras out there which may suit your needs and which will have all the desirable features. However, all of them may not be the best for you. So you need to make an informed purchase. To make the process easier for you, we have curated a list of the best mirrorless cameras in the market which have all the suitable features to give you the best experience. Here are 10 of the best mirrorless cameras available in the market. This camera offers an excellent aperture and the sharpest image even at that aperture. It has an ultra-high resolution display. It has a minimal lag and blackout time. Because of all the features mentioned above, it has a revolutionary optical performance. It has a capacity of 45.7 Mega Pixels. It can also shoot 4K ultra-HD video and 8K time lapse feature which gives a whole other experience of videography. It has a customizable menu which also appears inside the viewfinder. It has focus modes, white balance, exposure, VR and many other features. The camera all also enables eye-level view with the LCD, and it also has auto area autofocus which ensures that your camera is in focus even when it is tracking. The camera has an illuminated image sensor with no optical low pass filter which allows your images to look closer to reality. It has Expeed 6 Image Processing which is one of the fastest core systems yet. It enables to capture all the real colors. The ISO range is also remarkable and enables to click high-quality pictures even in the darkest surroundings. 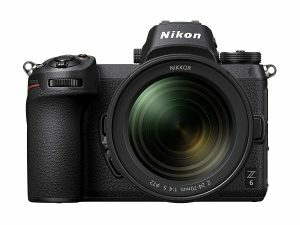 The camera is compatible with almost all the new Nikon Z lenses and almost all Nikon accessories. It is one of the priciest options in the market because of all its features. This camera is also perfect for professional use. Because of all its unique qualities, it can be called the best mirrorless camera for professionals. This model by Sony has 24.2 Mega Pixel capacity which gives it a relatively high picture quality. The sensor how has a black illuminated structure which gives a very fast data readout speed. The camera has a dynamic F stop range and a huge ISO range from 50 to 204800. These features help the photographer to capture amazing pictures in both low light and high light conditions. This camera is the best micro four-thirds camera. The camera also has a 4D focus which allows it to have wider image coverage of up to 93%. The mechanical shutter is silent. It has 10 frames per second video speed which prevents motion blur and gives high-quality videos. This also enables the camera to shoot fast and continuous shooting even at the height of the moment. The camera also comes with several accessories which include a rechargeable battery, an AC adaptor, shoulder strap, body cap, an accessory shoe cap, an eyepiece cup, and a micro USB cable. The camera is also compatible with almost all Sony lenses. The model is quite affordable and a great option for beginners in photography. This is another camera body by Nikon. The camera is perfect for videography. It has a full frame 4K ultra HD feature which gives sharper footage even. It also stabilizes the images and reduces motion blur. The camera is very smooth and sharp owing to its z6 autofocus system. It also allows1080p slow motion. The camera is silent; hence its commands will not be picked up by an external mic. The camera has a 24.5-megapixel capacity and an extremely high ISO ranging up to 51,200. The model also has a new hybrid autofocus feature which switches between focal-plane phase detect autofocus to fine-tune autofocus. It has another feature called subject tracking in which the camera will smoothly track your subject’s face even in an area full of faces. This camera has a design which enables a better grip to ensure that you have a better experience. It is also one of the most lightweight cameras which makes it even more convenient to use. It is compatible with all the Nikon Z lenses. This is priced slightly higher than most other cameras on the list. However, it is full of amazing features which are perfect for photographers. This camera by Sony is not exactly a DSLR, but it has all the features. The model is extremely compact and weighs half as much as any DSLR camera. 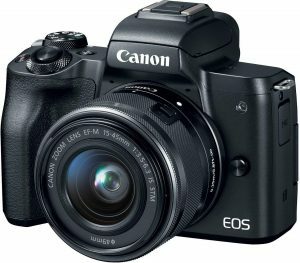 It has an image sensor which has almost the same capacity as other DSLRs. The camera can capture up to 11 frames per second which enables to shoot during fast action. It also captures the most minute details and gives Blu-ray quality videos. The camera can also connect to Wi-Fi which would allow you to share images directly to your smartphones and other electronic devices. The camera has a wide ISO range of 100 to 25000. The camera has a rear mounted wheel which allows you to switch between different shooting modes. The new optical system has four aspherical lenses that give you a wide viewing angle. The viewfinder is also very useful as it displays all the menu functions. The LCD screen tilts to large angles to give you better angle framing. The camera is compatible with all Sony E lenses. The whole set also includes a rechargeable battery, a shoulder strap, an eyepiece cup, and a micro USB cable. This is one of the cheapest options available in the market, and it is perfect for amateur photographers. The camera body is available in four colors namely, black, while silver and graphite. 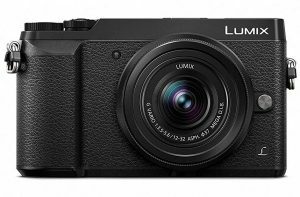 Panasonic LUMIX G7 camera offers DSLR-like features even without being a DSLR. The camera is small and lightweight and operates just as well as any other camera. The camera has fast and precise autofocus. The autofocus is reliable and stable even during motion and tracking. This makes videography very smooth and convenient on this camera. It also has 4K ultra HD video shooting feature with video with video pause and 4K photo modes. It has a high-speed autofocusing system which calculates the distance between objects and adjusts the focus. The audio is recorded on a stereo system. It has silent shooting which helps you shoot in quiet surroundings with no shutter sound. You can connect to a Wi-Fi network and upload your photos directly to your smartphone or PC. For the best experience, you can download the Panasonic Image App on your phone. The camera also has interchangeable lenses. This is one of the cheapest cameras on the list. The camera body is available in black and silver color. If photography is your hobby, then this is the perfect camera for you. 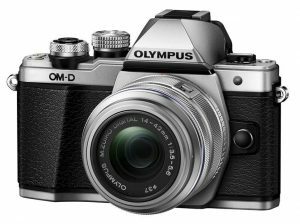 This camera by Olympus is a simple camera which is appropriate for new photographers and professional photographers as well. It has a very user-friendly 2.3 million dot pixels OLED electronic viewfinder. Through this, it is easier to see the exact frame you want to capture. The camera settings are also easily visible through the viewfinder. The camera has an overall resolution of 16 megapixels. It has a built-in flash as well. The camera is good for videography also as it has 4K full HD video and image stabilization feature. The camera has built-in 5-Axis image stabilization which enables you to click sharper images. The camera has shoot 8.5 frames per second. The autofocus on this camera is also very advanced and helps to keep your subject in focus even through movement. The body of the camera is available in two colors black and silver. The camera is also very pocket-friendly. If you are looking for something cheap but supreme quality, you will find the best 4/3 camera in this model. 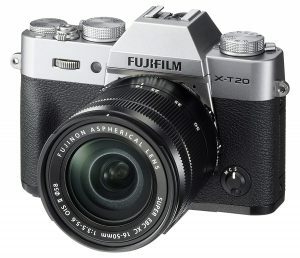 This camera by Fujifilm is compact and lightweight. It has the latest X processor pro and an excellent sensor that makes all the functions of the camera very smooth. The camera has a 24.3 -megapixel resolution. The display LCD is a touchscreen, and it can be tilted at any angle. The videos in this camera are recorded in 4K which gives HD quality. In this camera, you can take in an audio file from an external microphone and integrate it with your video file. This camera is ideal for videography because it has OIS lens which supports image stabilization. It has a special ACROS feature which can help you to shoot famous film simulation effects. The autofocus in this camera which chooses between 91 and 325 focus points. The autofocus can shift from single point to wide tracking mode which gives you a versatile range of options you can choose from. The camera has a shutter time lag of 0.05 seconds and a shooting interval of 0.25 second. The camera body is available in two colors, black, and silver. The camera is also very decently priced. This model by Panasonic has an image resolution of 16 megapixels. It has a low pass filter which increases the ability to capture details. The camera has an excellent five-axis dual image stabilization which works for both photography and videography. For videography, it has 4K HD quality video. It can also produce clear shots in low-light conditions. The camera can shoot up to 30 frames per second. The camera also has an eye-level electronic viewfinder and also an LCD system. The LCD screen can be tilted even to large angles for better-framed pictures. The autofocus of this camera is as over efficient, and it ensures that the pictures have minimum noise. Because this camera is not exactly a DSLR, it is much more lightweight. However, it has many unique and important features useful for a photographer. 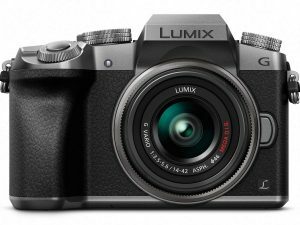 The camera is compatible with almost all LUMIX lenses. The body is available in black color and silver color. The camera is quite inexpensive as well. You can be assured that this is one of the best mirrorless cameras out there. This camera by Canon has a 24.1-megapixel picture resolution. It has DIGIC 8 processor which gives very bright and vivid colors, meticulous details and realistic images. The camera has Duel Pixel Autofocus which helps you to focus on the right object at the right moment. The electronic viewfinder has a great framing ability, and it can capture a lot of details. Additionally, you can also view the menu options through the viewfinder. The EOS M50 can record 4K UHD 24p videos which give the cinematic appeal and high-clarity videos. You can also try the slow-motion effect using high speed and get the output in HD. The camera can also connect to Wi-Fi, and you can upload your images directly to your smartphone, tablet or PC. You can also upload your` pictures directly to social media or connect to a compatible printer. For the best experience, you can download the Camera Connect app. The app makes the transfer process even easier. The camera of the body comes in black and silver colors. It is quite an affordable camera. 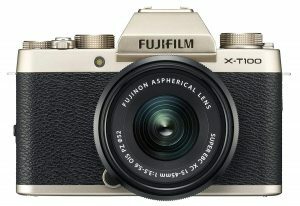 This mirrorless camera by Fujifilm has a unique design and a stylish look. The camera has a 24.2-megapixel image sensor. APC color reproduction technology which helps your artistic expression and enables you to click the best pictures. The camera has superfast autofocus and several automatic functions. It has a scene recognition function which helps to adjust the settings according to the external environment and lighting conditions. The LCD monitor can be tilted in three ways enabling easier framing of the image. The camera also has a high magnification power. The electronic viewfinder of the camera helps to get a better idea of your image. The image quality is very precise. The camera captures the pictures as close to reality as possible. It also ensures minimum noise in low-light conditions. The camera also has a 4K+ burst video shooting feature which gives a film like HD image quality. The camera can shoot high-speed videos and slow-motion videos too. The battery of this camera is very powerful as you can shoot almost 430 frames after charging it once. The camera has Bluetooth which allows wireless and hassle-free transfer of files to your smartphone and PC. The camera body is available in five colors: Champagne gold, silver, gold, black and dark silver. It is a very user-friendly and pocket-friendly camera. Mirrorless cameras are the best choice. But are they faultless? Just like everything else, even the amazing mirrorless cameras have some cons and downsides to them. You need to know about these disadvantages and think them over before you can make a purchase. These are not very major disadvantages, but you should still keep them in mind for your benefit. In DSLR cameras, there is the mirror present in front of the sensor. This feature helps to keep the sensor of the camera safe and free of any potential damage. The sensor can still get damaged, but this acts as a layer of protection before the impact reached the actual sensor. In the case of a mirrorless camera, there is no mirror as mentioned before. Therefore, there is one less layer protecting the sensor of the camera. If you remove the lens, the sensor of the camera is open to the potential damages and the ruins of nature: dust, wind, water and other particles. This is a great disadvantage for backpackers, travelers, and travel photographers. These people travel in different places and to different terrains. During your journeys and adventures, changing these lenses can leave the sensor exposed and cause damaged to it. This, while changing a lens, you should make sure that your lens is exposed to the air for the minimum time. There is a long list of disadvantages when it comes to optical viewfinders. Those act as advantages for mirrorless cameras. But one the downside, electronic viewfinders also have a few problems. Electronic viewfinders are very smart and effective. This is a feature that makes the mirrorless camera even better than DSLRs. Optical viewfinders process the image instantly. In electronic viewfinders, there is a slight lag. The image takes time to get processed as it goes first through the sensor and then the processor. This lag after causes a loss of clarity. The image you see is 0.005 finds late. You may also see a slightly blurry image through the electronic viewfinders. This is also because of the limitations in the pixel density. EVFs do not have a very high number of pixel dots. Electronic viewfinders also have slightly limited performance in dark environments and low-light conditions. However. The EVFs are relatively innovations and, they are being worked on continuously by engineers. One of the most significant advantages of a mirrorless camera is that these cameras are that these cameras are very small and compact. These are portable and easy to maneuver. However, there is a large problem when it comes to this camera. This camera can be problematic in large hands. If anyone has a large hand, it will be logistically difficult for them to hold the camera and use it efficiently. The grip might also loosen up. After holding such a small camera for a long time, your hand can get cramped easily. People with large hands can have a hard time getting accustomed to smaller arrangements and tighter controls. There is a solution to this problem as well. You can buy extended hand grips which will help you to use a small camera. Battery life is one of the foremost disadvantages of mirrorless cameras over DSLR cameras. The extensive EVF processing in these camera drains out the batteries very quickly. Its advisable to carry extra batteries or portable charging solutions to avoid battery related inconveniences. But there are certain ways to make the batteries stay charged for a longer time. Some brands make portable solar charging solutions like switch ten portable battery pack, which offers limited power supply. But when it is in collaboration with Nomad-7, the power supply is unlimited. Also, it’s highly advisable to keep the camera under shade to avoid frying out of the electronics. Only expose the charger to sunlight because as it draws the charge from the sun and would not be effective under shade or clouds. Also, it is advised to keep the auto-focus assist off as a little light can initiate the autofocus and drain the battery. Same goes for auto review facilities; it’s better to turn them off when the camera isn’t in use or when these features aren’t necessary. Batteries drain out excessively when Wi-Fi and GPS features are turned on. Switch the camera to airplane mode to avoid loss of charge. 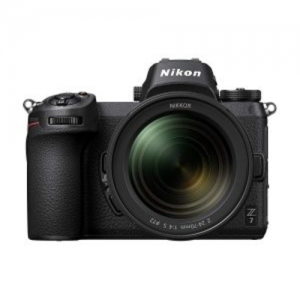 As compared to different DSLRs in the market, mirrorless cameras are extremely new and recent. What is even newer is the range of mirrorless camera lenses available in the market. Because of their recent launch, there is a lot of scope for improvement in these lenses. They are not the most effective lenses. The brands and their lenses may not form the best combination. However, many third-party manufacturers develop and sell mirrorless camera lenses. These lenses can be excellent, and they can capture excellent lenses. What you need to keep in mind while buying these lenses is that they need to be compatible with your camera body. Another problem which has been recurring over different mirrorless cameras is that these cameras have start-up lag. This is a 3-5 second window of unresponsiveness of the camera if it falls asleep. The camera also might take some time to boot after charging if the battery dies out. When you are capturing nature or covering events, these few seconds may be crucial, and you may miss out on some great shots because of this lag. For this, you need to strategically turn on and shut down your camera during such events. You also need to minimize the possibility of the camera going to sleep mode. Many of the mirrorless cameras only have one SD card slots. It might not seem like a big problem initially, but when you go outdoors or shoot for long hours, your camera might not be able to capture everything because of lack of memory. Also, if one SD card goes bad, you may not be able to store your backup images. To avoid such situations, you need to ensure that you buy a camera with multiple SD card slots. You can also ensure that you always carry around extra SD cards in the case of an emergency. This is not a very pervasive problem, but in some brands such as Sony, there has been a complaint about bad low-light autofocus. The camera takes time to focus and adjust its settings when the light is not sufficient. The solution to this problem can be to find the right lighting, to change the shooting style or to adjust the ISO. What you should d as a preventive measure is that you can check while buying a camera and ensuring that you have a camera with good low light autofocus. Again, this one is not a recurring problem. But many of the users of mirrorless cameras have complained about these cameras not having the best battery life. This can be because of many reasons. One of the main reasons can be that this camera has 4K HD video shooting. This feature may cause the camera to slow down and invest a lot of battery. Even while shooting high-quality images, a lot of the battery life can be compromised. This can be problematic during outdoor shoots or events. 1. Will Mirrorless Cameras Replace DSLR? Mirrorless cameras are a more recent entry in the market as compared to DSLRs. The cameras did not succeed in the market at first. However, some changes and editions made it a hit. Adding the electronic viewfinder to the camera was the turning point. After that, they kept adding more and more unique features which gave the edge to mirrorless cameras over regular DSLRs. Now the mirrorless cameras have high-speed processing, a high number of frames per second and excellent quality video shooting which the bulky DSLRs could not meet. Additionally, the mirrorless cameras are designed uniquely. The design permits them to be extremely light and compact. After all these advancements, the major players Canon and Nikon also launched their range of mirrorless cameras. They invested more and more on these cameras to gain a higher market share. Because of all the features of the mirrorless cameras, many people feel that they will take over the market share of DSLRs. DSLRs will remain in the niche sectors such as sports photography or photojournalism. Other than that, mirrorless cameras have proven to be far more advanced as compared to DSLRs. It is possible that in a few years mirrorless cameras dominate the whole market. 2. Do Mirrorless Cameras Operate Silently? Mirrorless cameras are silent cameras. These cameras do not have a mirror inside the system of the camera. The camera does not shoot up the mirror while clicking a picture. Because of this difference in operation, this camera is quiet. This is a great feature during events, nature photography and in silent places. The shutter can be entirely disabled when and the only sound will be the opening and closing of the aperture. The camera will be virtually silent. Point and shoot cameras do not have a mirror which is one factor that is quite similar to mirrorless cameras. 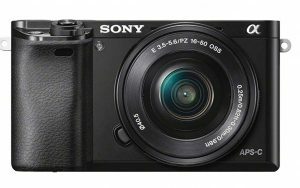 These cameras are also very small and compact just like mirrorless cameras. Point and shoot cameras are quite primitive when compared to the new-age DSLRs and mirrorless cameras. In point and shoot cameras, you cannot control the settings. You cannot change the lenses either in a point and shoot camera. The sensor in a mirrorless camera is also much better than a point and shoot camera. Hence, mirrorless cameras are a much better option overall because of all the versatile features. 4. Are Mirrorless Cameras Safer Than DSLR? Mirrorless cameras are safer for your eyes. With a DSLR, most of the pictures are viewed through the viewfinder. The DSLR reflects the light directly into your eye which might strain your eye. The low light images and external low light conditions can cause damage to your eyes. Mirrorless cameras have LCD screens for viewing the images, or they have electronic viewfinders. These are much safer for the eye. These systems are adjusted to your eye. Hence, a mirrorless camera is most likely to do minimum damage to your eyes. 5. Can Mirrorless Cameras Shoot Raw? A RAW image file is an original file in which the camera produces the image. This file is the minimally processed file. These have the most original pictures. The loss in image quality is negligible. The picture in the raw file format looks the closest to reality. All DSLR cameras can support RAW images. Even mirrorless cameras can process RAW images. RAW images occupy more data and memory space as compared to files saved in other file formats. So, if you want to shoot and save many RAW files on your cameras, you need to purchase a camera with good internal memory. 6. Do Mirrorless Cameras Use Different Lenses? Quite similar to DSLR cameras, mirrorless cameras also have different lenses. These cameras use a bayonet- style mount. The lenses are attached to these mounts/ all the mirrorless cameras have differently styled mounts. Every manufacturer has their mount. Hence, not all mirrorless cameras will be compatible with all the lenses that are available out there. Many third-party lens manufacturers also have lenses for your mirrorless cameras. These cameras have different lenses such as wide-angle lenses, telephoto lens, standard lens and many more to shoot a different kind of photos and videos with different visual appeals. Mirrorless cameras have Micro Four Thirds lenses which are excellent quality lenses. These lenses range from budget to professional. Fujifilm has amazing lenses for mirrorless cameras, but the lenses from this brand are high end and expensive. Nikon and Canon have a more limited range of lenses. However, these lenses are of very high quality and can shoot excellent pictures. So, Which is the Best Mirrorless Camera? Photography is a very interesting field. It requires concentration, hard work and an eye for aesthetics. All of these qualities can be enhanced can properly manifest with the help of a good camera. Because of the changing trends in the market, mirrorless cameras can be an excellent choice for you because it has all the latest feature at a minimal price. However, the camera is quite an investment. You need to do thorough research and make an informed decision to buy the best mirrorless camera 2019. You should study all the features and qualities and take note of the relative disadvantages and weigh them with your requirements. After that, you should go out there and have fun with your perfect mirrorless camera. The most important part of this whole feat is to enjoy photography as a hobby or enjoy photography as your work!